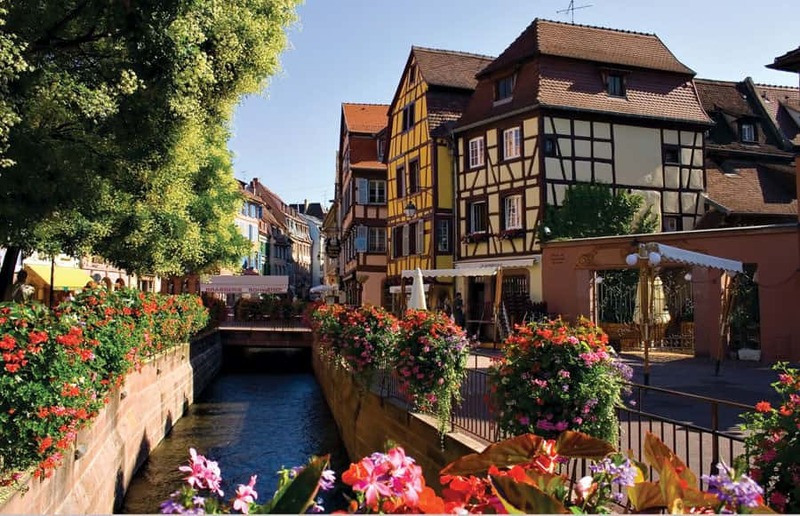 With more Michelin-starred restaurants relative to its size, and more hours of sunshine than any other part of France except the Roussillon, Alsace is a deservedly popular tourist destination. Surprisingly, the region's wines are still sadly misunderstood. The names, often Germanic, seem forbidding and the great diversity of styles equally daunting. Moreover, the pursuit of ever higher levels of quality through lower yields and later cropping has come with higher levels of sweetness. Drier wines, though, are often more digestible and friendlier with food so The Wine Society's selection errs, by and large, on the dry side. Having said that, an Alsace label is one of the easiest to read. 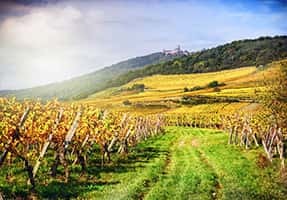 In contrast to other parts of France where wines take their name from their regions of production, Alsace wines are helpfully labelled by grape variety and, with the exception of a tiny proportion of pinot noir, most of the production is white. The appellation system is relatively simple too, with wines classified either as AC Vin d'Alsace, Alsace grand cru, or, in the case of sparkling wines, AC Crémant d'Alsace. Two additional designations, Vendange Tardive and Sélection des Grains Nobles, may also appear on the label. The former indicates a wine made from late-picked grapes with higher sugar levels. The latter identifies a dessert wine, made from grapes affected by botrytis, or noble rot. 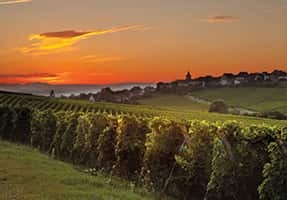 Alsace is also famous for blends of different varieties, which make pleasing, aromatic everyday wines, taking a little something from each of the component grapes. The Society's Vin d'Alsace is a fine example. At the other end of the scale, there are 50 named grand-cru sites, restricted in labelling terms, to wines made only from the four "noble" grape varieties, riesling, muscat, pinot gris and gewurztraminer. 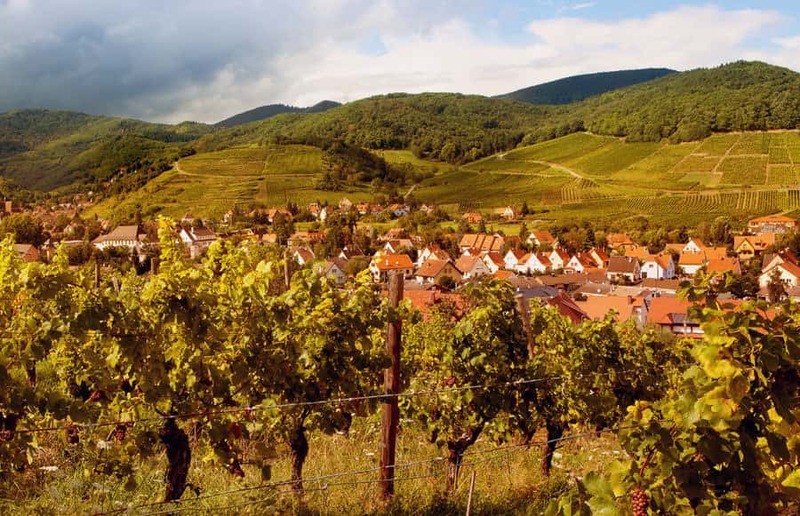 But a curious aspect of Alsace wine labelling, is that in many cases, the producer's name and branding are considered to be of higher importance than the vineyard of origin. Hugel's "Jubilee" wines are a good example of this. It makes sense, therefore, to get to know not only the permitted grapes, and what to expect from them, but to become familiar with the house styles of the producers, since these are the two factors which, above all others, influence the wine in the glass. Auxerrois – Rarely seen on wine labels, but very much present in wines legitimately labelled as pinot blanc, to which this widely planted grape adds substance. 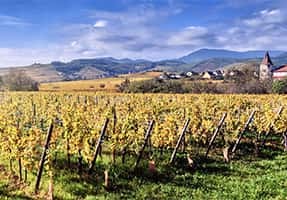 Chasselas – Now of curiosity value only in Alsace, but worth trying for its crisp, clean bite. Gewurztraminer – The pink-skinned gewurztraminer is the grape most associated with Alsace, and gives of its best here. There is nothing self-effacing about this grape which is probably why people tend to love it or hate it. 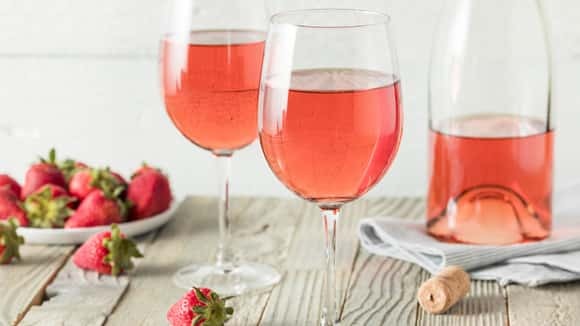 With a heady aroma of lychees or rose petals and a full, spicy flavour (gewürz means spice in German), this is one of the few wines which can keep pace with Chinese or Indian food. Its soulmate, however, is a ripe Munster cheese. A dessert gewurz is excellent with any pudding containing ginger. 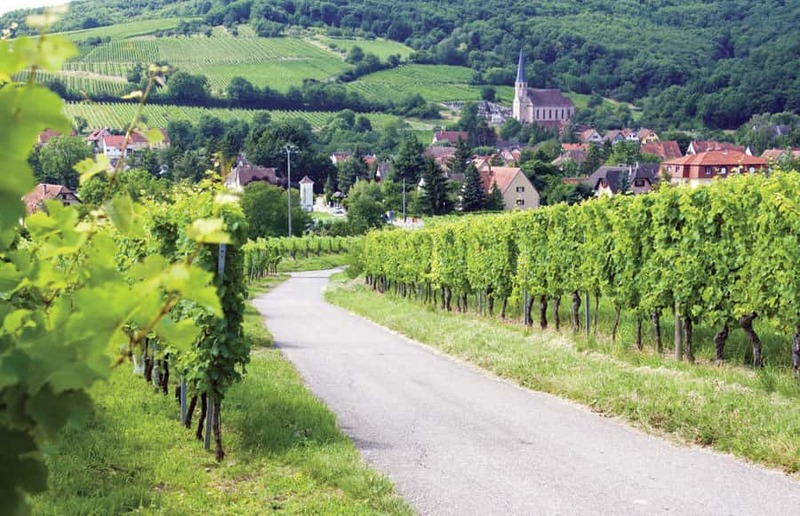 Muscat – The same grape that produces lusciously sweet wines further south is nearly always bone dry in Alsace. Its heady aromas make it an engaging aperitif, and a good Alsace Muscat is a splendid partner for English asparagus. Pinot blanc – Of Burgundian origin, this refreshing white is often blended with auxerrois for round, curvy, perfect party wines. 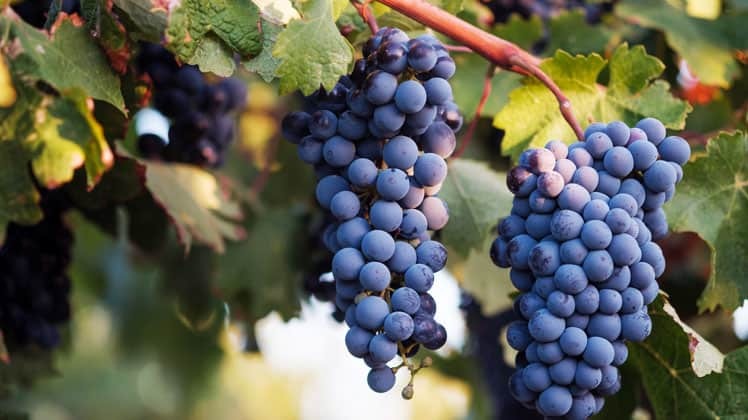 Pinot gris – Also known as tokay-pinot gris, this faintly pink variety produces full, rich wines, less spicy than gewurztraminer, and often extremely long-lived. Arguably the most food-friendly of all Alsace whites, especially with Thai or middle-eastern food, it is an excellent partner for roast goose and smoked fish, notably eel. It also produces fragrant late-harvest and botrytis-affected wines. 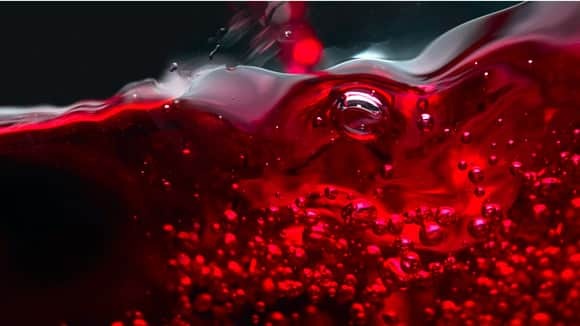 Pinot noir – With so many hours of sunshine, pinot noir has little difficulty ripening in Alsace but traditionally, pinot was made as a pale almost rosé coloured wine of little substance. Much is changing with top producers like Hugel and Muré beginning to make deeply coloured, tannic red with an ability to age well. Riesling – For many, riesling produces Alsace's greatest wine. It is exactly the same variety as grown across the border in Germany but here it is invariably dry and fuller in body with more rounded acidity. Like German riesling, it develops great complexity with age, sometimes taking on a pronounced petrolly aroma. Sublime fish and roast-pork wine, riesling also succumbs to noble rot to produce exceptional dessert wines with a particular affinity for baked custards like crème brûlée or lemon tart. Sylvaner – Another endangered species, rarely planted nowadays. At its most basic a lively, refreshing white with good acidity, but a good, old-vine sylvaner can, with age, develop into a fine, honeyed old bottle. Very good with pork, ham and fatty bacon or a classic onion tart. 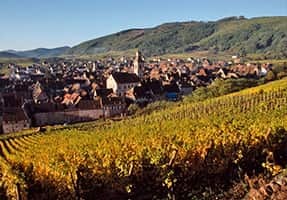 In the beginning there was just one catch-all appellation which covered all wines no matter where they were produced and it was called Alsace, the name coming into force in 1962, the last major region to get its AOC status. It wasn't long however before the question arose: how could one AOC cover such a wide variety of different vineyard sites? The area under vine is large (over fifteen thousand hectares) and includes flat lands that used to grow cereals as well as the slopes of mountain spurs where the best wines are made. And so came the idea of a new appellation, Alsace grand cru, modelled on Burgundy, it was put into effect 30 years ago. The details remain controversial. Not all the 50 odd Grands Crus are of equal standing and some remain completely unknown. Politics is everything in Alsace and every self-respecting village not unnaturally felt a need to have at least one grand cru within its boundary and so a vineyard map shows them all to be pretty evenly spread across the region. 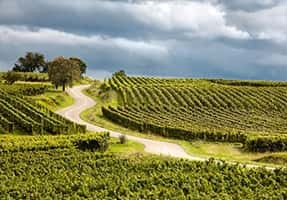 The positives far outweigh such negatives however and many of the growers make full use of the grand cru Appellation to make wines of real distinction. Naming all of them would be pointless but I will instead name my top 12 grand cru vineyards starting from the south. Growers can plant any of Alsace's authorised varieties but only those from riesling, pinot gris, gewurztraminer and muscat can be called grand cru with a few minor exceptions. grand cru Rangen - This is the most southerly vineyard and one of the steepest. 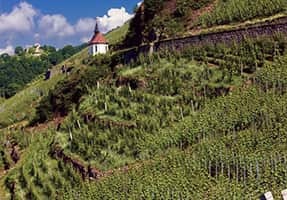 The soil is volcanic which is unusual; exposition fully south facing with a stream called the Thur protecting the hillside from spring frost and often helping to create the right conditions for noble rot. Zind-Humbrecht grows riesling, pinot gris and gewurz here. The wines are often very spicy and mineral and very long lived. grand cru Kitterlé - A steep, V-shaped vineyard of sandstone located at the entrance of Guebwiller. Riesling, pinot gris and gewurz do well here, producing wines of exceptional complexity and breadth of flavour. There are three other grand cru vineyards here. Kessler is similar to the Kitterlé and almost as good. Saering is chalkier and makes good riesling and muscat. Spiegel is probably the least good of the four. Muscat and pinot gris are not bad. Sclumberger is the top house here followed by Dirler-Cadé. 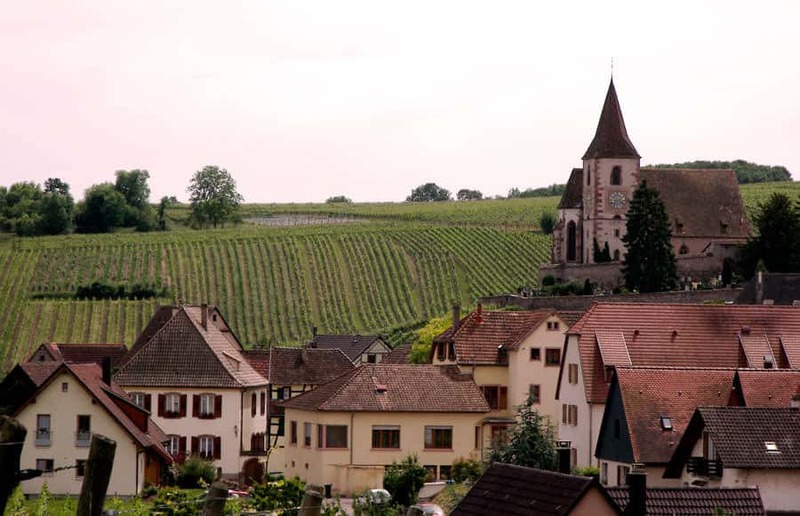 grand cru Vorbourg - This is a large and uneven grand cru that overlooks the town of Rouffach. The best bit is owned by Muré and is called Clos Saint Landelin. Excellent gewurz and muscat but where there is iron in the soil, pinot noir has the best potential. During the late Middle Ages this whole area was famous for its reds. Muré is trying hard to get the grand cru status applied to pinot noir. grand cru Goldert - Again south facing and limestone. Fine muscat with great depth of flavour. Very expressive, often luscious gewurz. Zind-Humbrecht makes some of the best. grand cru Eichberg - This is one of two crus coming from the historic town of Eguisheim. Heavy clay soils here on gentle slopes. The wines are big and powerful, often needing a few years to open up. Fabulous for gewurz but also very good riesling. Many growers do well here such as Kuentz-Bas, Sorg, especially for gewurz. The stand out riesling comes from Léon Beyer who calls his cuvée ERR (Eichberg Riesling Rare). Beyer still refuses to use the grand cru appellation. grand cru Pfersigberg - This is the other grand cru from Eguisheim. More limestone here producing wines that in general seem a touch lighter, more mineral and readier sooner. Fabulous riesling and again it is Léon Beyer that can produce the best under their Ecaillers or Comtes label. Lovely muscat too, especially from Kuentz-Bas and fine, fresh tasting gewurz. grand cru Hengst - Geologically complex with some sandstone and marl, this is a great vineyard producing very broad tasting, full-bodied wines. Riesling, pinot gris and gewurz do very well here. Zind-Humbrecht and Josmeyer stand out. Josmeyer produce an old-vine auxerrois called Cuvée H that is always worth looking out. Pinot noir does well here and might get its own grand cru status granted. grand cru Brand - Mostly granite and south facing, often very hot, hence the name. Zind-Humbrecht makes a fine riesling here while Josmeyer produces an excellent pinot gris and gewurz. The excellent Turckheim Co-op often produces a very good gewurz here. 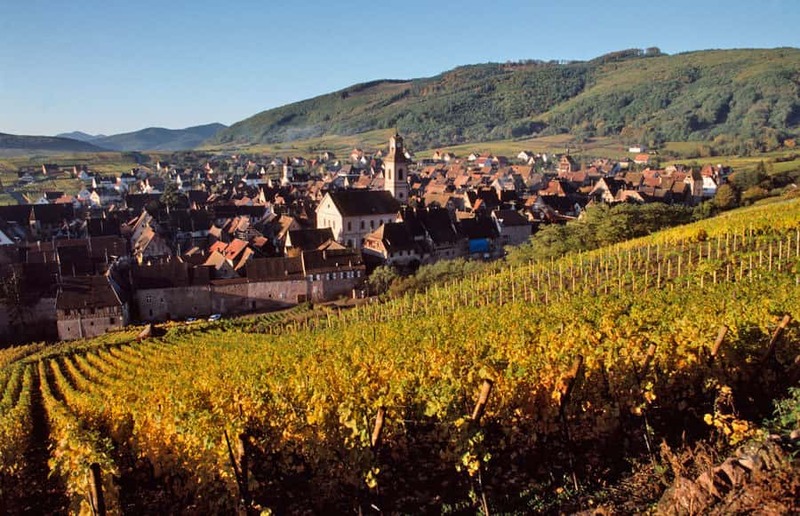 grand cru Schlossberg - One of the best-known vineyards in Alsace; south facing and steep, light sandy soils, granite. Riesling is outstanding and the best unquestionably comes from Domaine Weinbach. grand cru Sporen - One of two grands crus in Riquewihr. Gentle slopes of clay and perfect for gewurz. Hugel don't mention the Cru on their labels though their outstanding Gewurztraminer Jubilee is 100 % Sporen. Indeed Hugel own the best part of the slope and according to them the only part worthy of the grand cru! 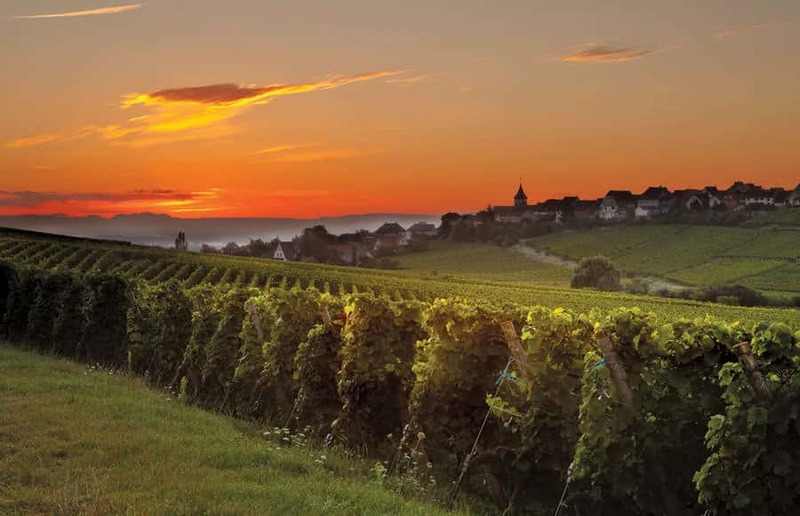 grand cru Schoenenbourg - The best part of this famous grand cru overlooks Riquewihr itself. South facing and steep; complex geology with limestone, some sandstone and gypsum. Outstanding for riesling. Hugel make a very noble riesling under the Jubilee label. Always long lived and very fine. Also great from Dopff au Moulin. In the past Hugel made wonderful muscat until they grubbed up the vines. They have now begun to replant, so hopefully we can look forward to some very fine muscat in the future. 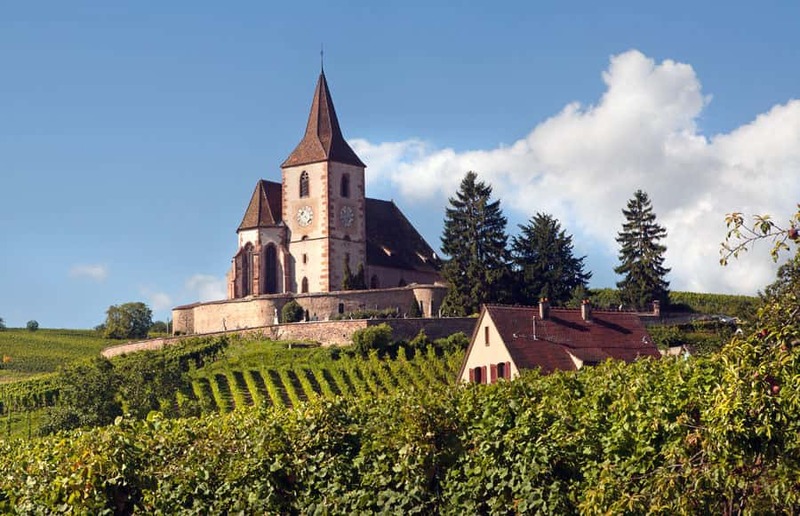 grand cru Rosacker - This large and uneven grand cru deserves a mention because within its slopes lies Trimbach's legendary Clos Sainte Hune, a tiny vineyard never producing more than 700 cases of what is one of the world's greatest Rieslings. grand cru Osterberg - Mostly east facing, hence the name and late to ripen, this is one of three Grands Crus from the historic town of Ribeauvillé. The soil is of a limestone called muschelkak and ideal for riesling. 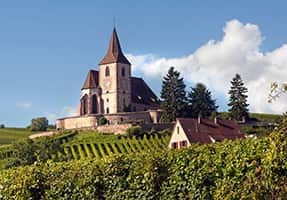 Trimbach, based just outside the town tend to base their outstanding Riesling Cuvée Frédéric Emile from Osterberg fruit. Gewurz and pinot gris also do very well here. Also look out for Louis Sipp who makes fabulous wines from the Osterberg as he does from the Kirschberg, another one of Ribeauvillé's three Grands crus. grand cru Geisberg - Also in Ribeauvillé and until recently mostly owned by a convent but now managed by Trimbach. Expect more great rieslings in the future. Watch this space! grand cru Altenberg - There are lots of Altenbergs in Alsace but the best one comes from Bergheim. Wonderfully luscious gewurztraminers though my greatest memory was for sweet muscat from the legendary 1959 vintage. 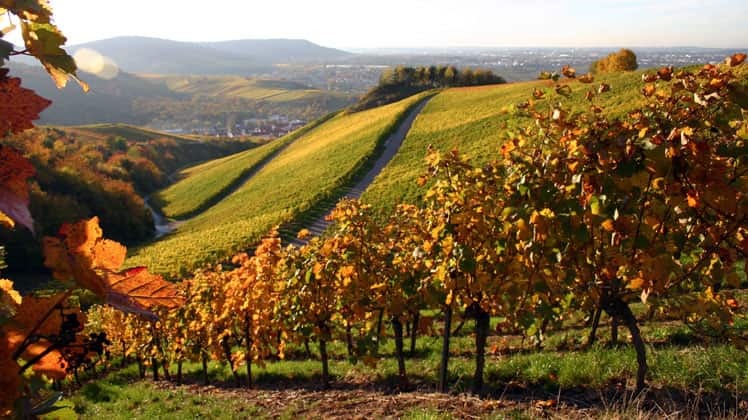 grand cru Zotzenberg - Up until recently, the grand cru system only allowed for four grape varieties: riesling, pinot gris, Gewurztraminer and rarest of all, Muscat. Yet some vineyards enjoyed a reputation for other varieties. 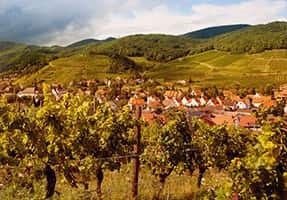 Such was the case of the Zotzenberg in northern Alsace which is planted out with riesling and sylvaner, and a case was successfully made to allow sylvaner for grand cru status for this one vineyard. 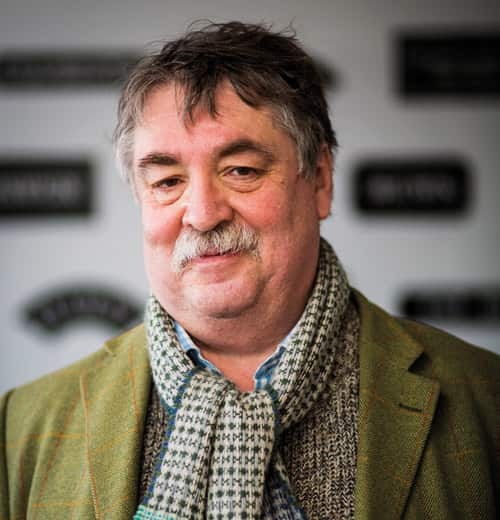 Following this decision it is likely that a case will be accepted for pinot noir in the case of two further grand cru vineyards, Hengst and Vorbourg. We currently stock pinot noir from Muré which is for now simply marked "v" on the label. Crémant d'Alsace - The Dopff family created the sparkling wine industry in Alsace and today it is the second biggest producer of French sparkling wine after Champagne. Pinot blanc and auxerrois are most used and chardonnay is also permitted. The pink is made from pinot noir. 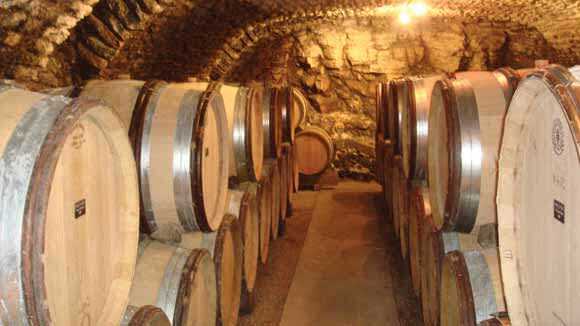 The wines are traditionally made with the second fermentation in bottle. The wines are generally a little rounder than Champagne. Wines labelled as Vendange Tardive and Sélection de Grains Nobles are peculiarities of Alsace and the jewels in its crown. They may only be made from the four noble grapes with pinot gris and gewurztraminer being the most common. Riesling is sometimes seen and muscat is rarer still. Vendange tardive literally means late harvest and refers to grapes with higher must weights, which have been picked later than the rest of the crop. These super-ripe grapes start to dehydrate in a process known as passerillage and have a completely different character from grapes harvested at the usual time. The wines are not necessarily sweeter, but have opulent, beguilingly complex flavours, which respond to cellaring. Truly sweet and highly-prized, Sélection de Grains Nobles can be made only if the grapes are affected by the benevolent fungus botrytis cinerea, or noble rot. The brown, shrivelled grapes with their high concentration of sugar are individually harvested by hand and the resulting nectar is regarded as one of the finest wines in France. 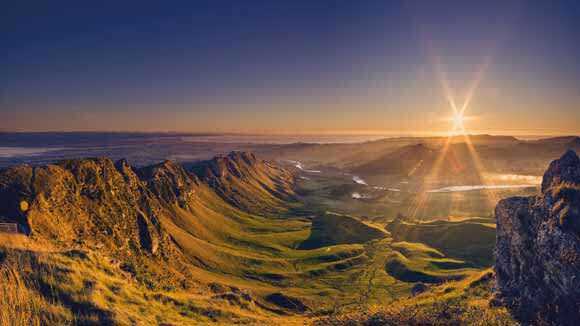 Its lifespan is practically unlimited. 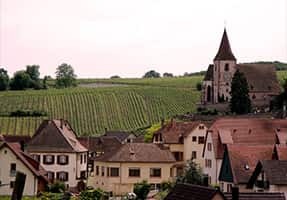 The influence of a producer's "house style" on the character of the wine is particularly strong in Alsace, where it is arguably second only to the grape variety in shaping what ends up in the glass. Here are some of The Society's usual suspects. NOTE: Biodynamic viticulture, which is referred to in several places here is different from the organic approach. 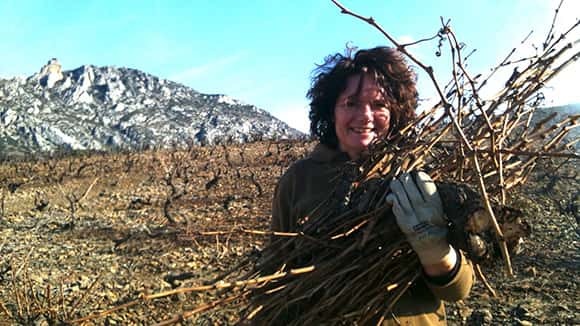 Both avoid the use of chemicals, but biodynamic growers cultivate their vines in accordance with planetary movement and use certain preparations recommended by its founder Rudolph Steiner. It's all about a greater harmony and taking care of the soil, which sounds rather off-the-wall, but works. Beyer – Full but racy, minerally, digestible and dry. Fine gewurztraminers and lovely bone-dry rieslings which do not reek of petrol eg. "Ecaillers", (which means those people who shell oysters in posh seafood restaurants). Indeed, Beyer has always made a point to be present in top restaurants and the wines are found in all of France's Michelin three-stars. Their approach to wine style is entirely gastronomic. Wines are rarely showy and because they vinify at high temperatures, not always necessarily fruity. Wines are dry (even gewurz and pinot gris) and they often need time to come round properly. The wines are good at all quality levels. Entry level wines are invariably dry and best with food. Sylvaner which they do not grow themselves is always excellent. The better wines are rarely showy and often need long ageing in bottle. Currently, 2007 is the most recent vintage that is showing really well. Though the wines are dry, Beyer nevertheless also produces late harvest wines which are some of the richest around. Dirler-Cadé - A husband and wife team from southern Alsace. All biodynamic. Proper artisan wines, generous and rewarding. They are based near Guebwiller and are neighbours of Schlumberger in all the grand cru sites. Riesling is very strong here as is sylvaner from old vines and muscat, especially grand cru Saering. Faller (Domaine Weinbach) – This is one of the great estates, easily the equivalent of the best of Burgundy. 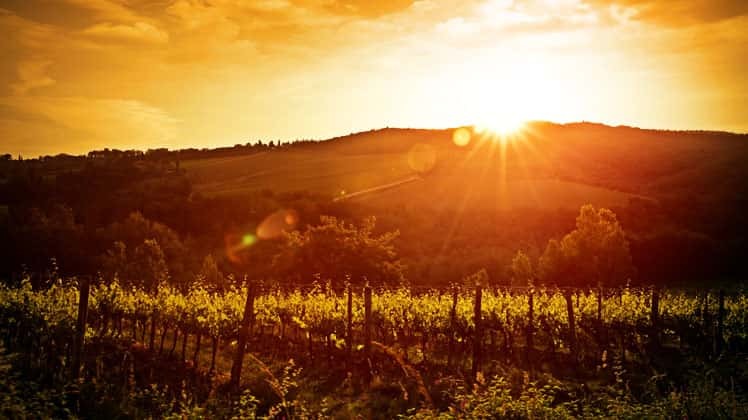 At its heart lies an historic vineyard called the Clos des Capucins and as the name would suggest, there was a monastic connection until the Revolution. It was Théo and Colette Faller who created the modern estate and brought it to world eminence, acquiring new vineyards especially on neighbouring grand cru sites. The next generation, daughters Catherine and Laurence, added their own touches, gradually converting the vineyard to biodynamic farming and at the same redefining finesse and elegance. With the untimely deaths of Laurence and a year later, Colette, it is for Cathy and her son Théo junior to add their touch to this great estate. 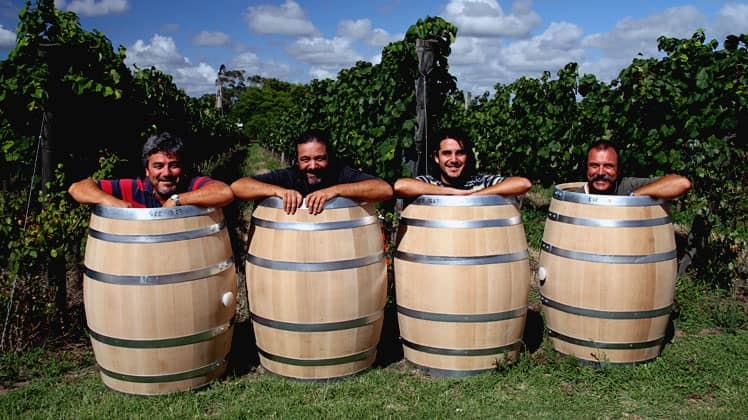 All their wines are shaped with infinite care and precision. Most of their wines are made dry except pinot gris and gewurztraminer. Some of the best rieslings, picked late and very ripe may also retain some sweetness. Top rieslings come from the grand cru Schlossberg while the best gewurztraminers come from either grand cru Furstentum or rarer from the grand cru Mambourg. Their other top vineyard, and one likely to become a premier cru, is the Altenbourg which makes outstanding pinot gris and gewurztraminer. Late-harvest sweet wines are a speciality and are among the best in Alsace. 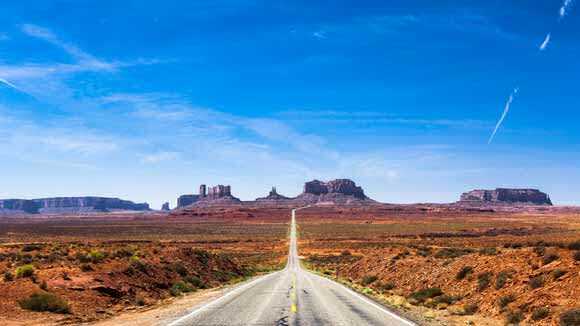 Hugel – New generations coming into a family business often bring innovation. Indeed it is essential that they do so. Such is the case in the Hugel family. Four new Hugels have joined the firm, doubling the number of Hugels at this favoured address in Riquewihr. Beneath the cobbled streets, exist a veritable labyrinth of cellars with tanks and casks, big and small, not to mention tens of thousands of elegant, flute-shaped bottles waiting to be labelled and sold. In amongst this treasure trove is a new cuvée from the 2007 vintage to be released in 2015 for the very first time. It is a riesling from a tiny plot within the grand cru Schoenenbourg and it is called Schoelhammer. 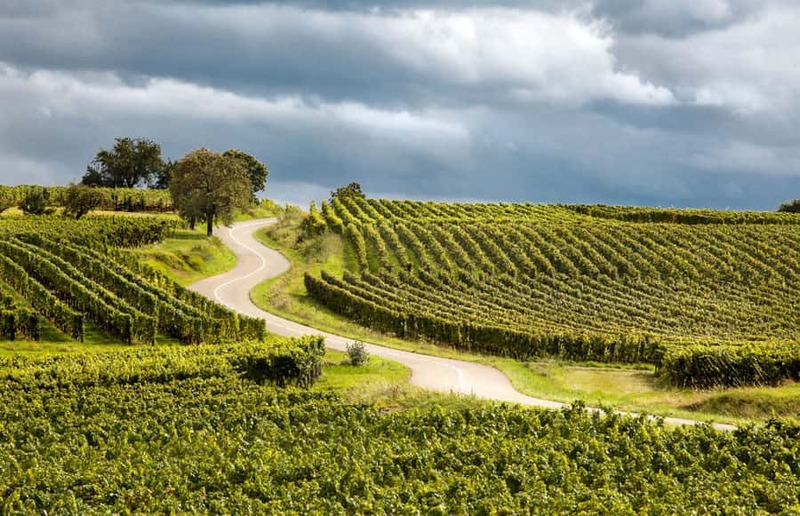 Josmeyer – Like Faller, the accent is on finesse and elegance, but vineyards are different being from heavier soils and wines are drier (mostly) and a little fuller, but more charming than at Beyer. Tight on the nose, elegant and concentrated on the palate and, by design, excellent food wines from Jean Meyer, who is a bit of a gourmet. Biodynamic from 2001. The Josmeyers (left to right) Celine, Christophe, Jean and Isabelle. Mochel - Guillaume Mochel is one of the standout producers from the less well-known northern part of Alsace, and indeed not far from Strasbourg. Meticulous winemaking here with great attention to detail. Fabulous pinot blanc which they sell as Klevner. Brilliant riesling and gewurz from the local grand cru Altenberg de Bergbieten. Muscat when it works can also be very good. Muré - This is another great name which has maybe struggled in the past, producing wines that were often a little too sweet. That is changing thanks to new generations of the family. Muré currently produces some of the greatest reds in Alsace. Rolly-Gassman – Aromatic, perfumed and cuddly wines tending to richness, especially the gewurz which is as close to the rose-petal-and-lychee textbook smell of the grape as it is possible to get. Almost Germanic in style ie. rarely alcoholic and often with residual sweetness which in fairness goes with bottle age. The House was created from the union of two vigneron families. He is Louis Gassman and she is Marie Thérèze Rolly. The son is Pierre who has brought biodynamism to the vineyard and tightened quality up. They still produce a plethora of different cuvees often with the vineyard name on the label. Wines can be very long lived. 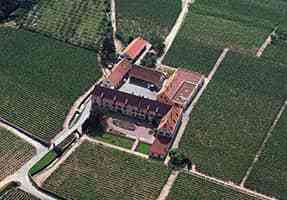 Schlumberger - This is the largest estate in Alsace with vines covering all the Grands Crus from Guebwiller. 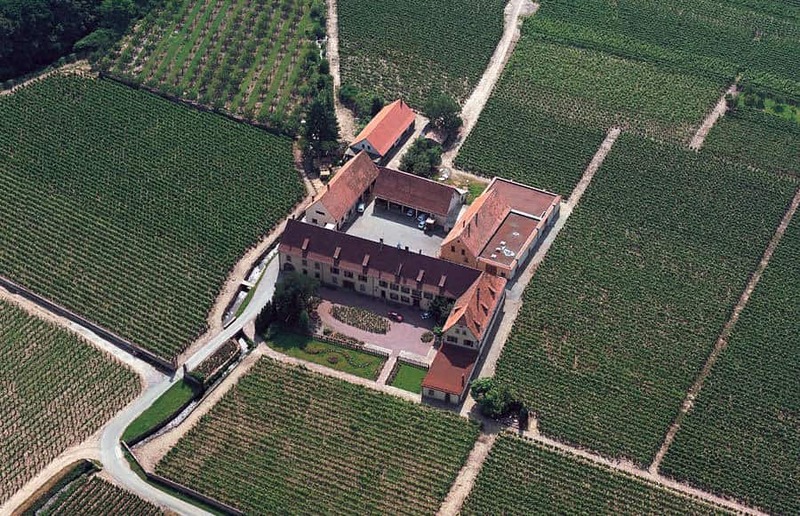 Family owned but with winemaker Alain Freyburger, one of the best in Alsace, who with the backing of the Schlumberger family has done much to transform the fortunes of this famous house. Stunning wines from the three principal grape varieties and from vineyards such as the Kessler and Kitterlé. Sorg – Rich, potent, mouthfilling wines of unashamed gorgeousness, notably gewurz from the well-insulated sunny Eichberg vineyard. 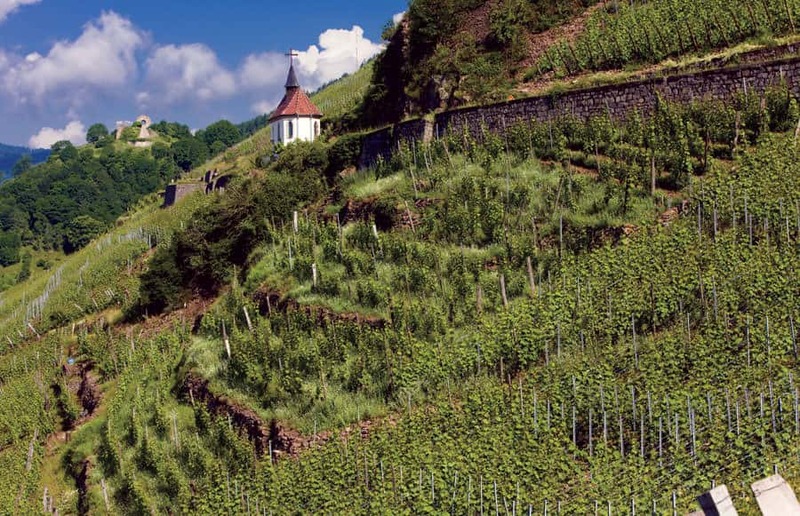 Trimbach – Dry, almost austere, whistle-clean, finely-crafted, classic wines. No big smells here just layer upon layer of wonderful, restrained fruit on the palate. 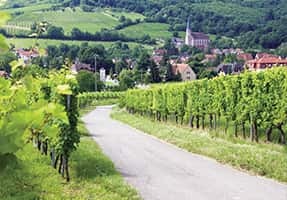 Just possibly the topmost branch of the Alsace tree, Trimbach is based in Ribeauvillé which stands at the end of a very long valley that cuts deep into the Vosges mountains. Mountain breezes are nearly always there so grapes remain healthy and rot, including noble rot very rare. The business is family owned with Pierre as winemaker, one of the best and most respected in all Alsace and riesling is the house speciality. The best are austere, bone dry and need bottle age. Other varieties are also very good, notably gewurz and pinot gris. Weinbach – See Faller, above. 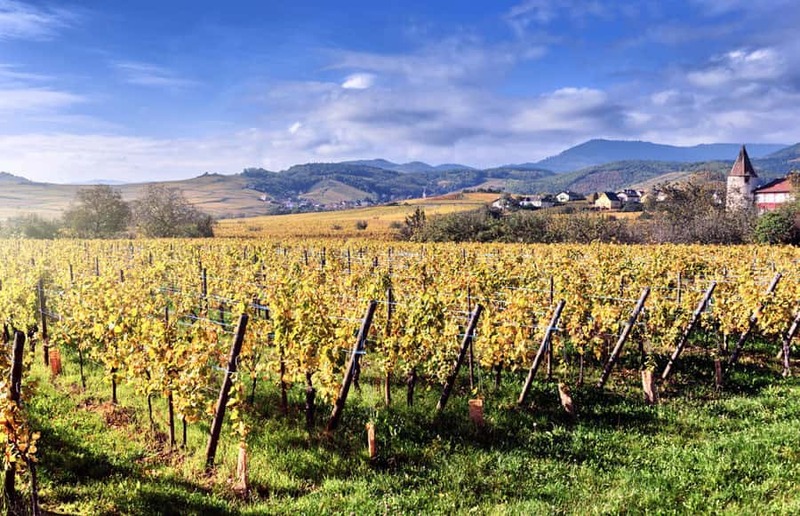 Zind-Humbrecht – Densely rich and voluptuous wines almost in a New World style – untypical of other Alsace wines, but extremely sought-after for their richness and depth of flavour. Another biodynamist, who is also a Master of Wine, Olivier Zind-Humbrecht is obsessive about vineyard character and minimal handling during the winemaking process. So it's perhaps best to consider vineyard, rather than house styles in this case. As a very general rule, for limestone-rich Clos Hauserer read steely and racy; for volcanic Rangen, firm, mineral and dry; for Hengst, dry and intensely spicy, for Clos Windsbuhl bold and mineral, for Goldert dry but juicy, and for Rotenberg chunky and smoky. First published April 2008 in Societynews.